Police in the southwestern Chinese megalopolis of Chongqing arrested a legal manager who spent 100,000 yuan (about $15,000) in company money to play an arcade fishing game. When the 30-year-old Mr. Xie went home to Chongqing this January to spend the Chinese New Year holidays with his family, he became addicted to the game, called “Da Yu’er,” or “Hit the Fish,” the online news outlet China.com.cn reported. 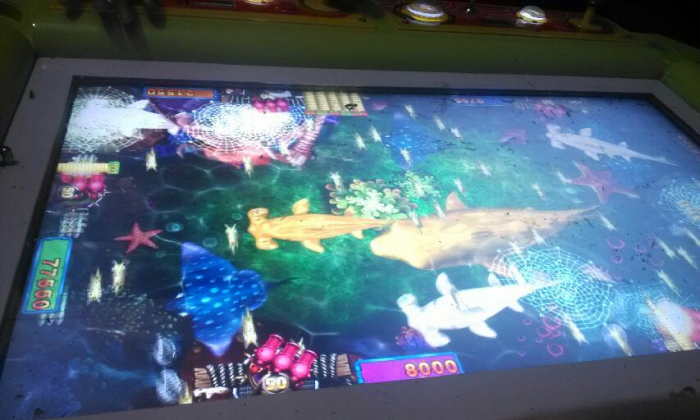 The arcade game is played by inserting coins and hitting the virtual fish. Accumulating 1,000 points allows the player to win 100 yuan (about $15) back from the arcade. Despite holding only a middle school education, Xie rose to his position of legal manager at a large machinery manufacturer. Xie was sucked in by beginner’s luck. In the first week of his addiction, he won nearly 10,000 yuan, or $1,500. Having tasted success, he abandoned his plans to spend the holidays with his family, opting to live and eat at the arcade instead. His luck quickly went downhill and within days lost all the money he had made in the first week. Xie tried in vain to replicate his initial success. By the end of January, the firm noticed that he was both missing from work and had failed to process payments from multiple clients. Many Chinese arcade games include mechanisms aimed at parting customers from their money. Only when police entered the arcade did Xie come back to his senses and admit guilt. He is currently being held in criminal detention.